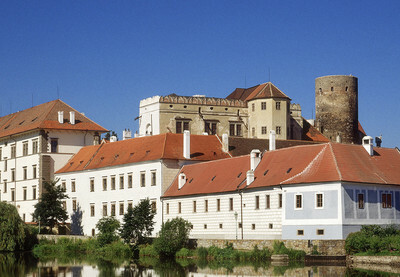 such were the words used by Zdeněk Kalista, a famous Czech art historian, to describe the unique atmosphere of this bizarre water castle, which – during its centuries-long development – changed both hands and appearance to eventually become the home and retreat of old ways for the princely family of its last private owners, the Schönburg-Hartensteins. Your visit of their authentically preserved home can be made even more special by walking through the English-style castle park, taking a ride in a rented boat, or saying your prayers in the castle chapel. Enjoy this Renaissance-style castle, built in the middle of the 14th century, with its rich interiors from the times of the Schönburg-Hartensteins.